You've never seen a stock picker like this. Genius. Brilliant. Very beautiful. Better than those Wall Street schmucks. These are just a sampling of the ways Donald Trump might describe his stock-picking prowess. Trump&apos;s filing to the FEC lists myriad business ventures, including holdings in hotels and golf properties, as well as individual stocks such as Apple Inc, Goldman Sachs and Altria Group. Trump told Reuters his stock picks have done well recently. "I bought them low and I sold them high," he said, referring to a series of sales in January 2014 that netted more than $27 million. "It was very good timing," he added. "I hit the market exactly perfectly." As for some of his other investments, well, he doesn&apos;t really care to check on how those are doing. Staying fully apprised of whether your investments have lost or made money is for paupers; you can only count yourself as truly rich if you can say you have "no idea if they&apos;re up or down." Eighteen out of 21 hedge funds and mutual funds in Trump&apos;s portfolio lost money in 2015, and 17 of them are down so far this year, according to public disclosures and private performance data seen by Reuters [...] "I put some money with people that are friends," the New York businessman said by phone on Monday, without naming names. "I have no idea if they are up or down. 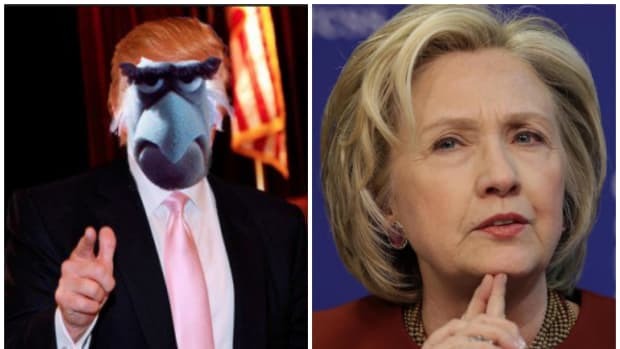 I just know that they have been very good over a period of time," added Trump, the front-runner for the Republican nomination for the November presidential election. They're like this...depending on your definition of "like" and "this." 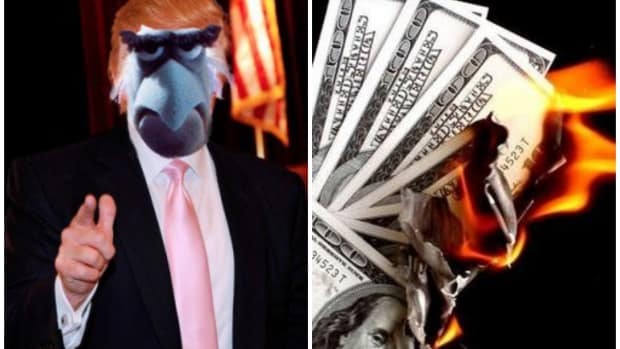 President Trump's Stock Tip: "Smoke 'Em If You Got 'Em!" 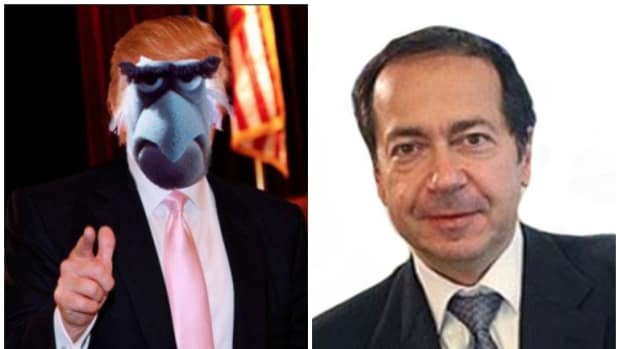 Just when you thought things couldn't get any more absurd, John Paulson lets Donald Trump lecture him on debt. President Trump Is So Over "Hedge Fund Guys"
It's like these hedge fund guys have so much money that it's coming out of their "wherevers." 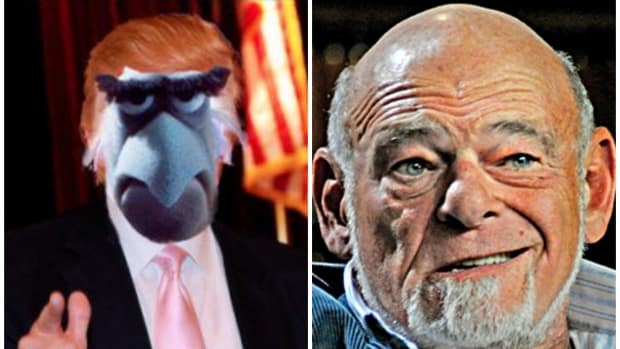 How does "Secretary of Commerce, Sam Zell" sound to you guys? 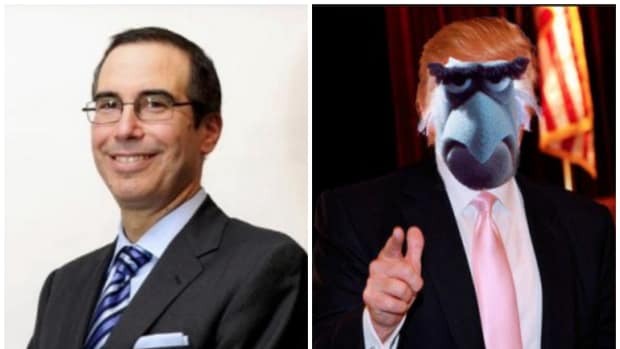 Steve Mnuchin and Anthony Scaramucci must be like "Damn bro, what up?"